Ozone Socks is one of our favorite online sock stores, and their sock subscription is a simple way to receive high quality socks in the mail each month. Often people arrive at SockClubs looking for reviews of the different sock of the month clubs available to them, so below is a video review of Ozone Socks that we thought you’d find useful! 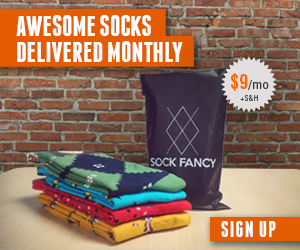 Next Article Foot Cardigan vs. Ozone Socks: The best sock subscription?